AA Decorative Events will be exhibiting at our Chester Wedding Fayre at the Brook Mollington Banastre Hotel & Spa, Cheshire on Sunday 18th March, 12 - 4pm and they have amazingly donated a free set of 4ft LED LOVE Letters in to our on the day free prize draw for one lucky couple! Their Elegant Flower Wall is designed to be free standing, and can be placed behind the Top Table, Ceremony Table, or a wall to form a great backdrop for Photographs. Their wall is made up of 100% artificial silk flowers so there’s no need to worry about it lasting or even wilting. The Silk Flowers are all ivory to make up a 16ft Wide x 8ft Tall Flower Wall. The flower wall is a unique and eye catching backdrop to WOW at your event. Their on the day special offer is 10% any bookings from our normal advertised prices if booked on the day or within 30 days. So whether you are looking for the final details to dress your wedding venue and want to book the amazing products from AA Decorative Events or you are looking for Wedding Ideas or Inspiration for your big day we will have at all under one roof at our Chester Wedding Fayre, on Sunday 18th March, 12 - 4pm. Watch our catwalk shows at 1:30pm & 3pm as their Love Letters and Dance Floor will be showcased and the winner of the free prize draw will be draw during! Good luck! 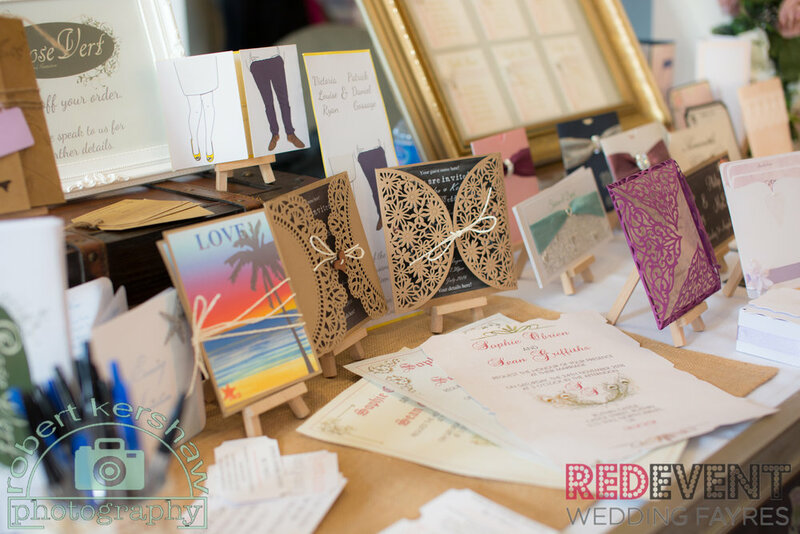 RoseVert Stationery are offering an ‘on the day’ 10% off all stationery orders when booked at The Brook Mollington Banastre Wedding Fayre on Sunday 18th February, 12 - 4pm. Rose has also donated a £30 voucher off your stationery or invite order for one couple. Watch are catwalk shows at 1:30pm & 3pm to see if you are the lucky winner. If you are looking for your Wedding Stationary or you are just looking for more Wedding Inspiration or Wedding Ideas, come along to this fantastic Chester Wedding Fayre, it is free entry, you will be greeted with an arrival drink and canapés, their will be live music, lots of amazing special offers like RoseVert's and so much more! Save the all important date THIS Sunday 18th March, 12-4pm at the 4 star Country House, Brook Mollington Banastre Hotel & Spa. 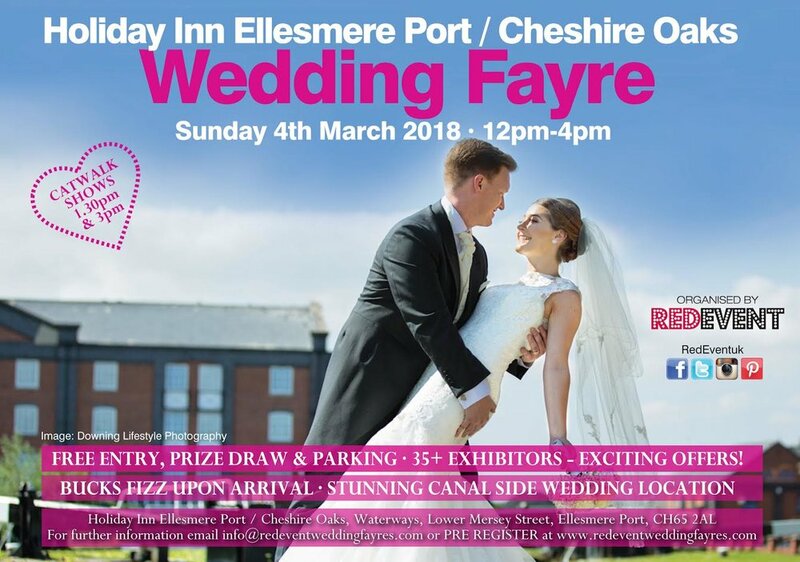 Whether it is guest entertainment like Boothtube that you want to book for your big day or you just want to find out more about what they can offer, come along to our popular North West Wedding Fayre at The Holiday Inn Ellesmere Port Cheshire Oaks this Sunday 4th March, 12 - 4pm for this and much more! We will have everything that you need to plan a wedding, all under one roof. Special offers from suppliers and fantastic prizes to be won in our FREE raffle - winners will be announced at our catwalks at 1.30pm and 3pm. 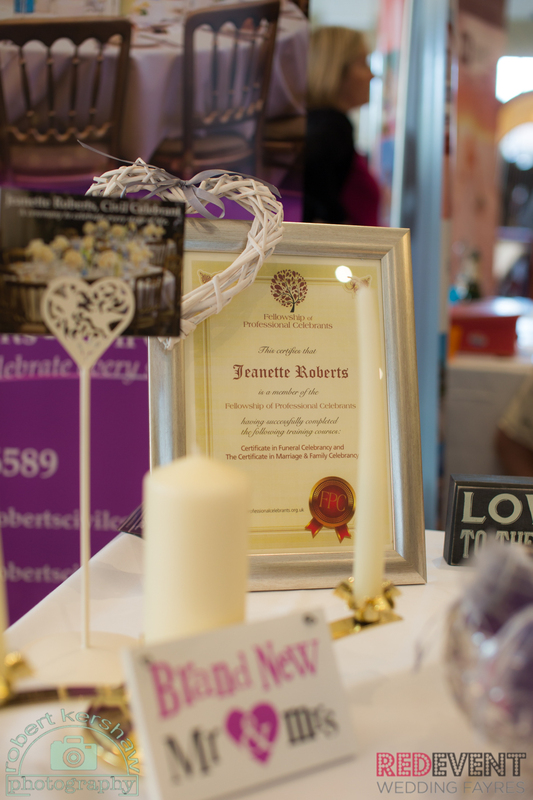 Jeanette Roberts is a Civil Celebrant who can give you choice with your ceremony. It will be personally written, bespoke and unique. Jeanette is offering a fabulous 10% off your booking if made on the day of our North West Red Event Wedding Fayre at the Holiday Inn Ellesmere Port Cheshire Oaks on Sunday 4th March, 12-4pm. 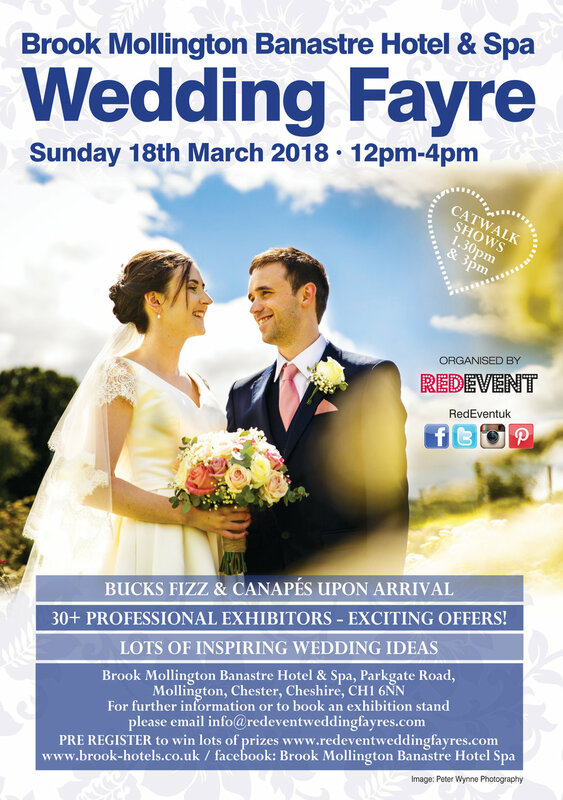 Whether you are looking for a celebrant to conduct your ceremony or you are looking for more wedding ideas and inspiration, come along to our popular North West Red Event Wedding Fayre on Sunday 4th March for all this plus much more! There will be catwalk shows, prizes to be won and many special offers plus a drink upon arrival! Natalie's Cakes & Bakes are offering a delicious 10% Off Your Wedding Cake for on the day bookings at the Formby Hall Golf Resort & Spa Wedding Fayre, Liverpool on Sunday 18th February! Natalie has also donated a complimentary box of 12 cupcakes to our on the day free prize draw. Make sure you watch our catwalk shows at 1:30pm & 3pm when our winners will be announced.Visit Natalie's stand, take a peek at her stunning and unique cakes, discuss your Wedding Cake design ideas and receive your discount!! Whether your looking for your Wedding Cake or looking for Wedding Ideas & Inspiration we will have it all at our North West Wedding Fayre! Enjoy an afternoon of wedding shopping and planning and browse 50 exhibition stands offering you everything you need to plan your dream wedding day! Free entry and everyone is welcome! Win your Bridal Car Courtesy of Magnolia Classics, Vintage Wedding Cars of Southport! They will have their stunning Wedding Cars on Display at our North West Wedding Fayre and also have a fantastic show offer...! At Magnolia Wedding Cars in Southport, they believe that the choice of your wedding car plays a significant part in the success of your wedding day. Let them take the ‘hassle out’ and put the ‘Wow factor’ in by transporting you in style! They offer only the ultimate in Wedding cars for hire, Rolls Royce, Bentley & Daimler all being genuine Vintage and Classic cars. Magnolia Wedding Cars are offering an amazing 10% discount to brides and grooms whom attended the Red Event Formby Hall, Liverpool Wedding Fayre at on Sunday 18th February. WOW WIN YOUR BRIDAL CAR! Also be in with the chance to win your Bridal car* at The Formby Hall Wedding Fayre on Sunday 18th February courtesy of Magnolia Wedding Cars! Just register as you come in to our wedding fayre to be entered. Winners will be announced during our catwalk shows at 1:30pm & 3pm. Be sure not to miss them as we have many more amazing prizes to be won! Wink N Pout Boutique are a mobile & studio based make up artist specialising in Airbrush. 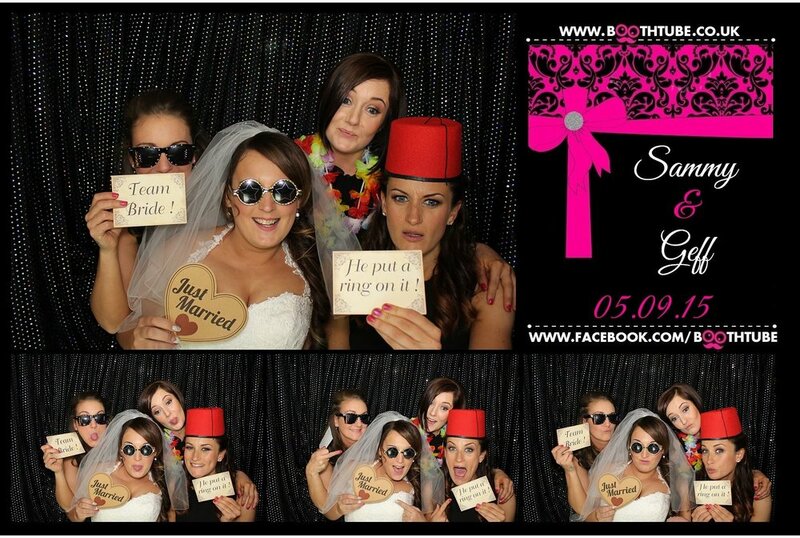 Bridal parties, facials, lashes & spray tans in Liverpool. Danielle has completed her level 2 VTCT award in makeup artistry and she is qualified in 'Airbase' airbrush makeup (as used on X Factor). She has studied at the Manchester School of Makeup and The Essential Training Academy and regularly attend the Peaches and Cream masterclasses to keep her up to speed on the latest looks and techniques. Recently Danielle completed an eyebrow & eyelash course at the Anita Charles Academy - so she can offer eyebrow shape/waxing and eyebrow/eyelash tinting to you, her client. 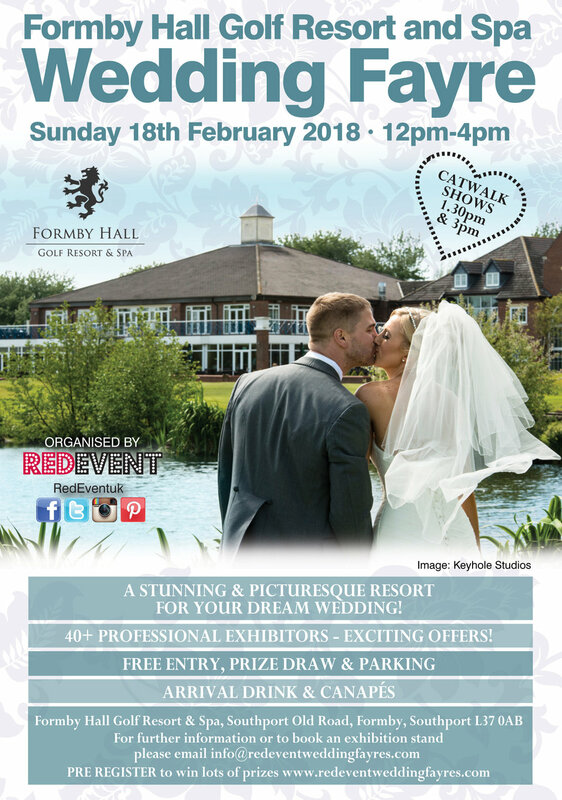 Their wedding show offer is 10% discount for brides visiting the fayre on Sunday 18th February and book their services at the Formby Hall Golf Resort and Spa. Make sure you watch our catwalk shows at 1:30pm & 3pm as they will be showcasing their make up designs on our beautiful models. They have also donated a free make up trial to one lucky bride, the winner will be announced just before our catwalk show. Whether you are still looking for your make up artist or for further wedding ideas and wedding inspiration, we will have 50 amazing wedding suppliers for you to choose from, free entrance. 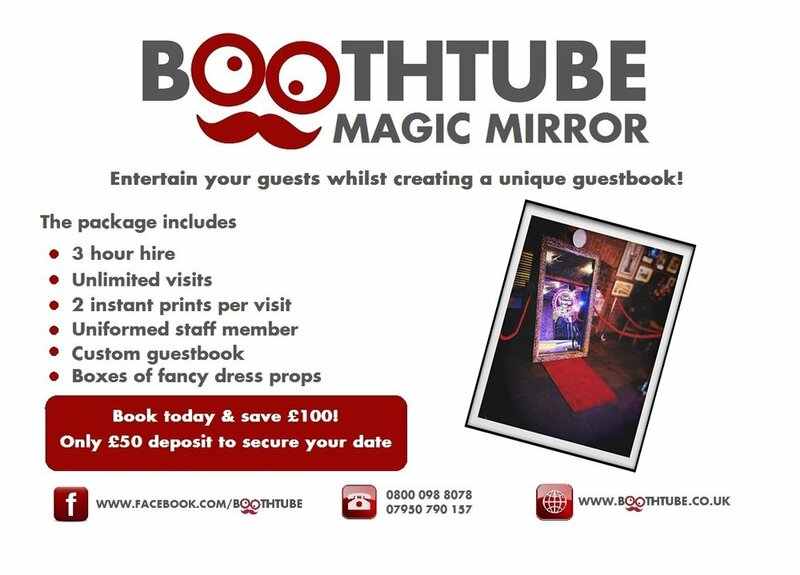 Whether it is guest entertainment like Boothtube that you want to book for your big day or you just want to find out more about what they can offer, come along to our popular North West Wedding Fayre on 18th February, 12 - 4pm for this and much more! We will have everything that you need to plan a wedding, all under one roof. Special offers from suppliers and fantastic prizes to be won in our FREE raffle - winners will be announced at our catwalks at 1.30pm and 3pm. 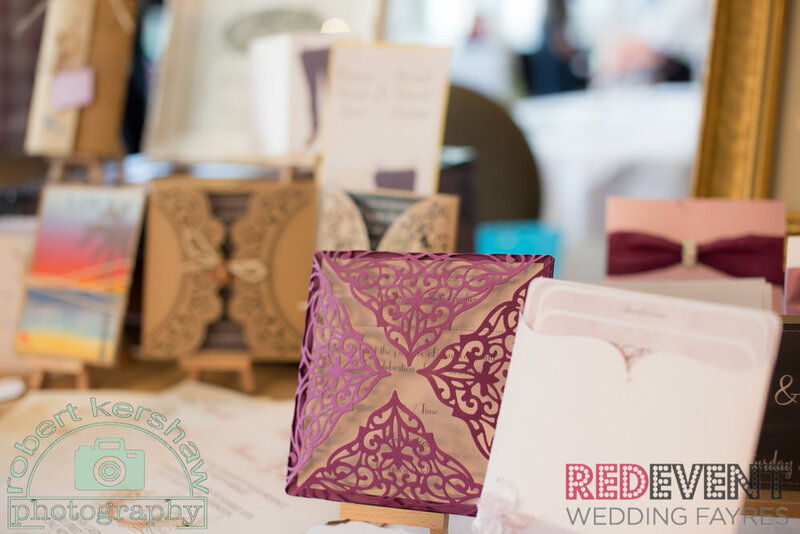 RoseVert Stationery are offering an ‘on the day’ 10% off all stationery orders when booked at The Formby Hall Golf Resort & Spa Wedding Fayre on Sunday 18th February, 12 - 4pm. Rose has also donated a £30 voucher off your stationery or invite order for one couple. Watch are catwalk shows at 1:30pm & 3pm to see if you are the lucky winner. If you are looking for your Wedding Stationary or you are just looking for more Wedding Inspiration or Wedding Ideas, come along to this fantastic Liverpool Wedding Fayre, it is free entry, you will be greeted with an arrival drink and canapés, their will be live music, lots of amazing special offers like RoseVert's and so much more! Save the all important date Sunday 18th February, 12-4pm at the stunning Formby Hall Golf Resort & Spa, Liverpool Wedding Fayre! 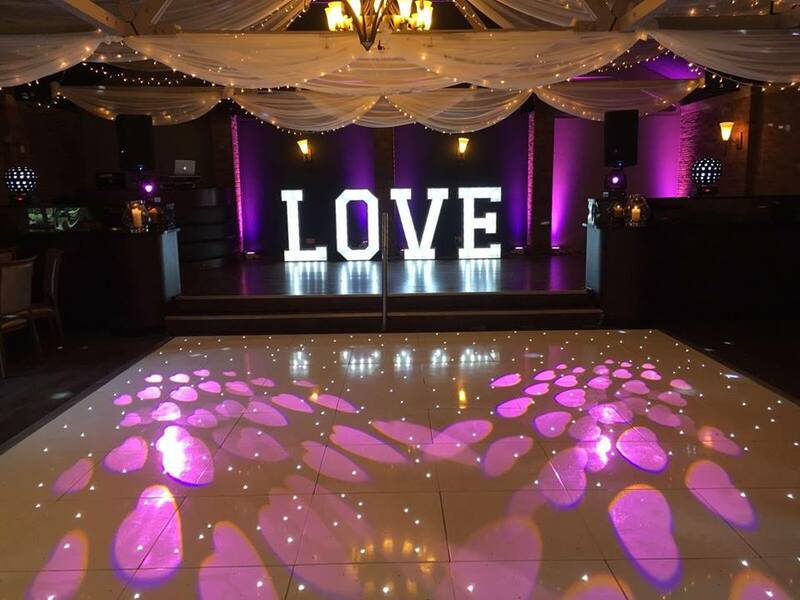 AA Decorative Events will be exhibiting at our North West Wedding Fayre at the Formby Hall Golf Resort & Spa, Liverpool on Sunday 18th February, 12 - 4pm and they have amazingly donated a free set of 4ft LED LOVE Letters in to our on the day free prize draw for one lucky couple! So whether you are looking for the final details to dress your wedding venue and want to book the amazing products like AA Decorative Events or you are looking for Wedding Ideas or Inspiration for your big day we will have at all under one roof at our North West Wedding Fayre, Liverpool on Sunday 18th February. Watch our catwalk shows at 1:30pm & 3pm as their Love Letters and Dance Floor will be showcased and the winner of the free prize draw / love letters will be draw during.